In January 2008, I was flying home from Europe after ministering in Africa at leaders conferences for the release of Kingdom healing and the Father’s love. Little did I know that God was wanting to show me that the power of the Kingdom was coming home to the US in new ways and that he intended to heal many on the airplane. We were about an hour into the air when the stewardesses gave us drinks. I was drinking Diet Coke and wearing a white shirt when accidentally the stewardess bumped my arm and pop went everywhere. My shirt was stained and I felt some frustration. But I immediately felt the presence of God come on me and I knew I was not to get angry. The stewardess helped as best she could clean up the mess. She was very surprised I didn’t lose it. I realize now that the enemy was trying to stop what God had in mind. I leaned across the aisle and asked the lady if she had hurt her back two weeks earlier. That got her attention and she asked how I knew that. I explained that the Lord had told me, and I also told her about my recent travels in Africa. Then I asked if I could pray for her. She said yes. Then I asked if I lay my hand on her shoulder, she looked at me and said, oh, you mean now. I told her I didn’t believe God wanted her in pain for the next 8 hours. 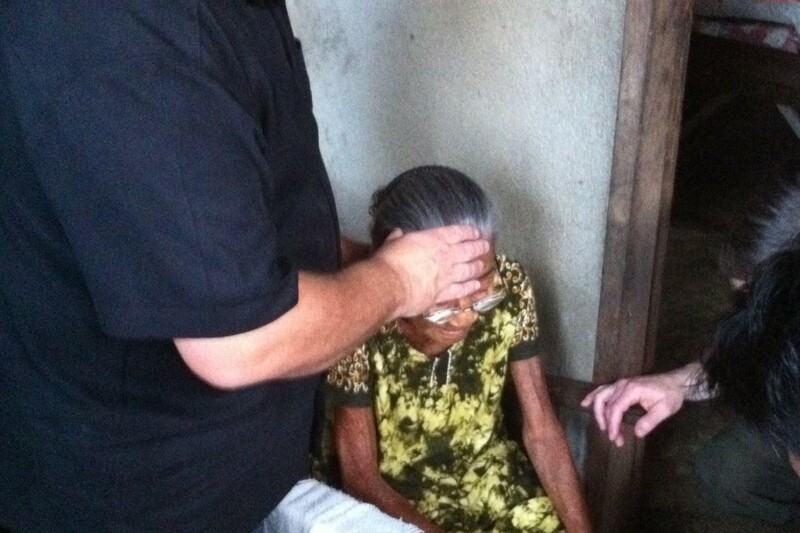 As I prayed for her the Holy Spirit fell on her and she fell out of her seat and landed on the floor of the aisle. The stewardess came around the corner; greatly concerned and asked if we needed a doctor. I was trying to explain what had happened, that God was ministering to her, and that the lady was fine. As we talked the lady came out of the Spirit. The stewardess asked if she was ok. The lady said, yes I’m fine and, hey, my back doesn’t hurt. I started to explain about the lady’s back, when she cut me off. She told the stewardess all about how she hurt her back on ice two weeks earlier and that this pastor prayed for her and she was totally healed. Caught off guard and aware God was present, the stewardess said she had hurt her knee 4 weeks ago and was in constant pain. She asked if I would pray for her, I said yes. Then she got a real serious look and asked if she would fall down. I said I didn’t know. 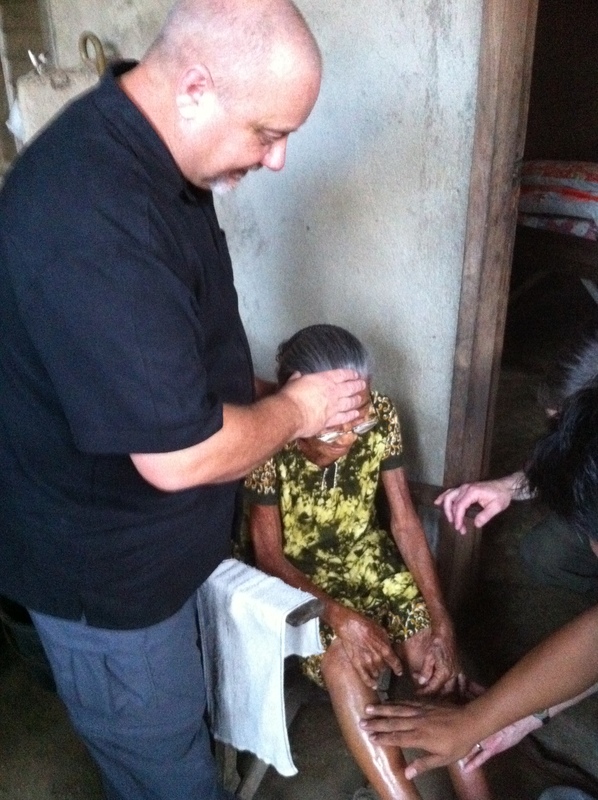 I prayed for her also and God healed her knee on the spot. As I got up to go back to my seat, there were three people lined up in the aisle asking for prayer. Apparently others had noticed what was going on! I felt the Lord urging me to continue. As I started to pray for the first lady, I suddenly heard over the intercom the stewardess that I had prayed for saying that there was a pastor onboard who had been in Africa praying for healing, and that when he prayed for her and the woman with the bad back both had been healed. She said: “If anyone needs healing they should come to the galley between coach and first class and he would pray for them.” I thought to myself, here we go! Then a large gentleman came up to me. He was from England. He asked if he could catch for me. I thought, thank you Lord, at least there is someone else here who knows what is going on. For the next two hours we had had a healing service. At one point the catcher came to me and said, “you need to slow down, I am running out of places to put people.” I looked in the galley and saw people laying everywhere. We had 5 salvations during our time, including one young man from Saudi Arabia. He was coming to the US for surgery on his torn rotator cuff. He also had other damage to his shoulder. God healed him and I told him it was Jesus who had touched him. He said, “I know Jesus.” I said to him, yes who know who he is, but you need to know him as a Savior. As we talked he accepted the Lord. One of his traveling companions was a lady, who came to me and said she was a Christian and would see that he got into a church. The people who didn’t come forward for prayer were wide-eyed and looking over their seats throughout the cabin to see what was going on. When all was finished, I sat down and I picked up my book and laughed to myself. The book was Face to Face with God, by Bill Johnson. I thought to myself, God certainly does have a sense of humor for this indeed was a Bill Johnson moment – everyday saints doing the stuff!! Praise God for His wonderful love and desire to use any one of us in His service! Feel free to share this testimony if you feel it would be an encouragement to others. 2 Comments on "Healing on a Plane at 35,000 Feet"
It’s so encouraging to read these blog entries. Praise God! He is powerful, merciful and full of grace indeed!